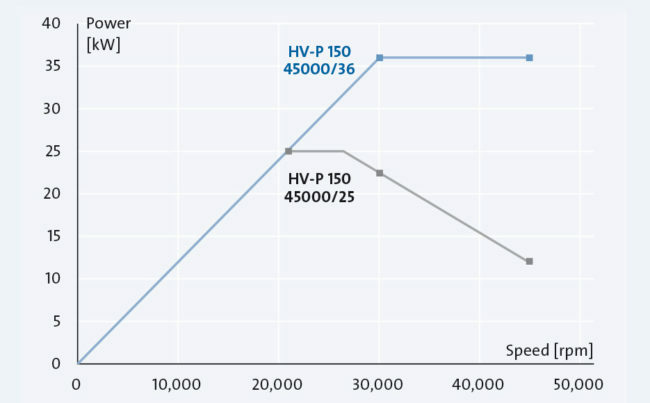 The asynchronous and synchronous motors we use, are optimally designed for every application. Large tools require high performance at relatively low speeds. Small tools often work with relatively low performance needs. GMN’s high-speed spindles can cover these requirements to the greatest degree with one spindle design. They provide high torque – based on their size – and make it possible to provide high machining performance even at lower speeds. This is made possible by asynchronous and synchronous motors which are specially designed for this application, as well as through efficient spindle cooling. The motors have high power density and good efficiency. GMN offers high-speed spindles with a broad variety of sizes and performance data. Various motor performance figures are available to fit your requirements. 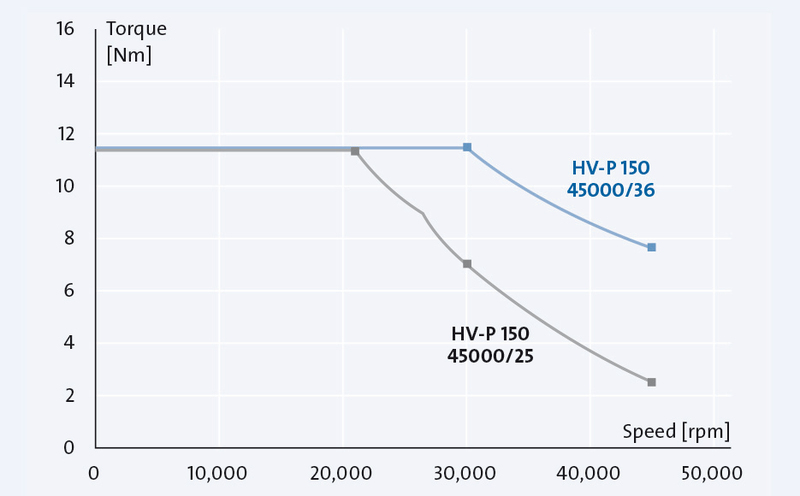 Designs with large field weakening range are an economical solution if the power requirement is not very high in the upper rotation speed range. GMN provides high-quality synchronous motors with permanent magnet rotors for very high requirements for spindle performance or for very high rotation speed (UHS spindles). Low rotor losses (no slip) reduce load-dependent heating in critical areas of the spindle. The permanent magnet motor allows for implementing very stiff spindle shafts with high critical rotation speeds. 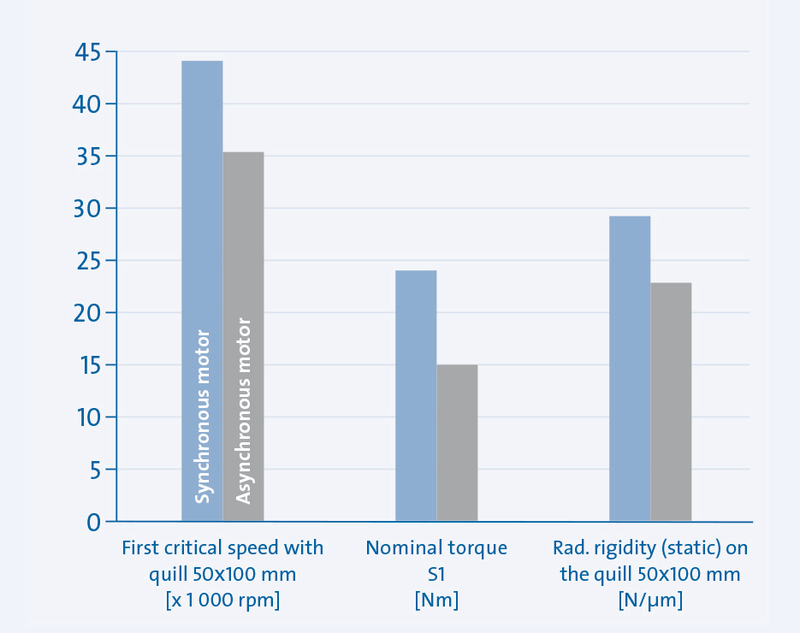 Very high peripheral rotor speeds can be achieved using suitable CFRP braces (peripheral speed up to 260 meters/sec for UHS spindles).